The new Corolla is based on Toyota’s TNGA platform and gets a range of hybrid and gasoline engines. 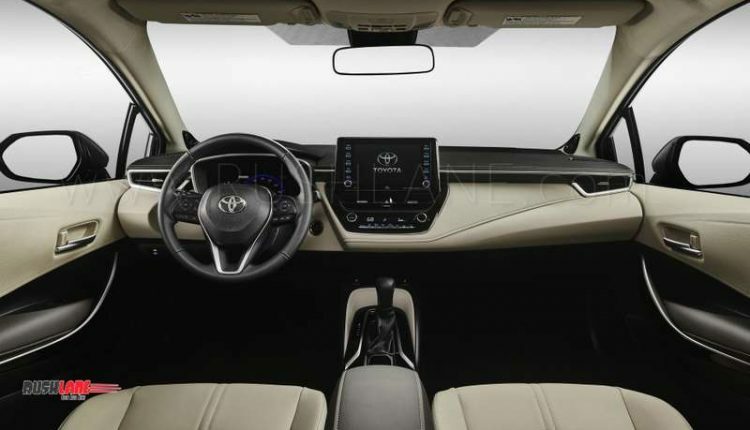 Guangzhou International Automobile Exhibition, which opened today, has the 12th-generation Toyota Corolla sedan on display. 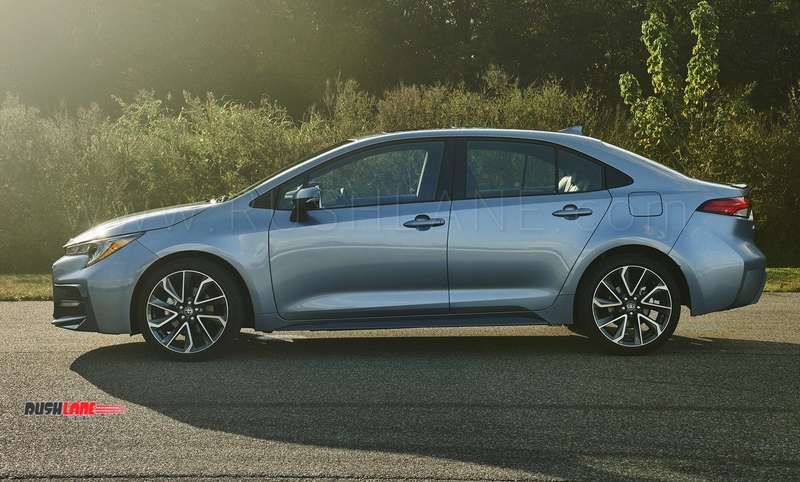 This is the global debut of new Toyota Corolla, which will soon be launched globally. 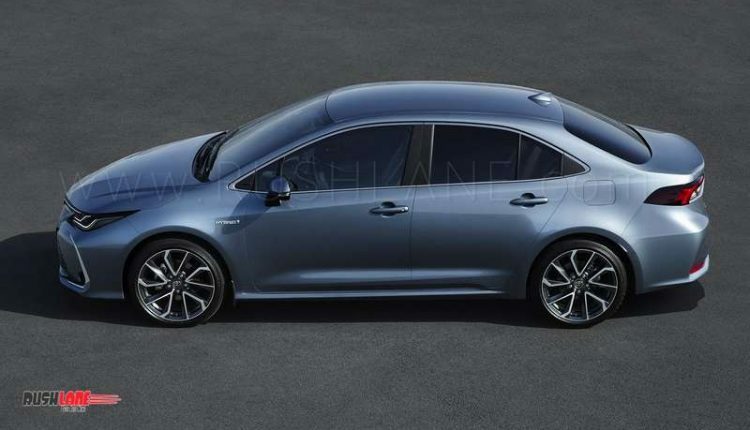 To be launched first in China, the new Corolla sedan is offered in different variants. 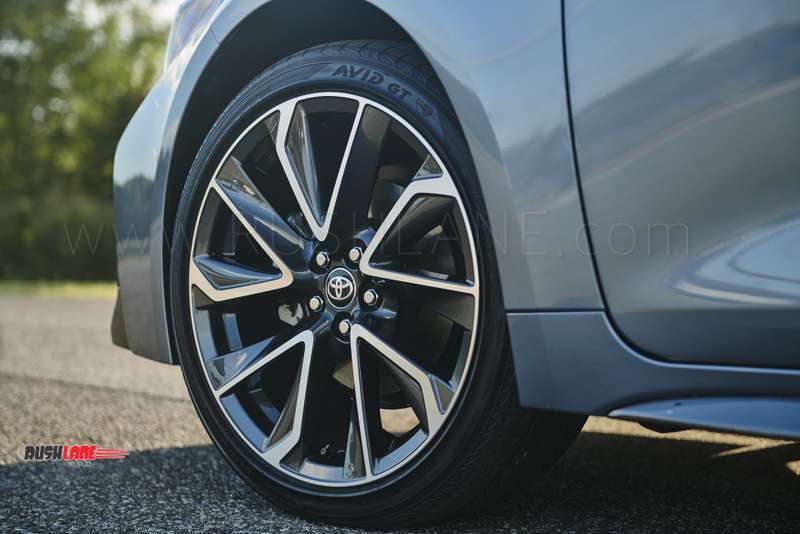 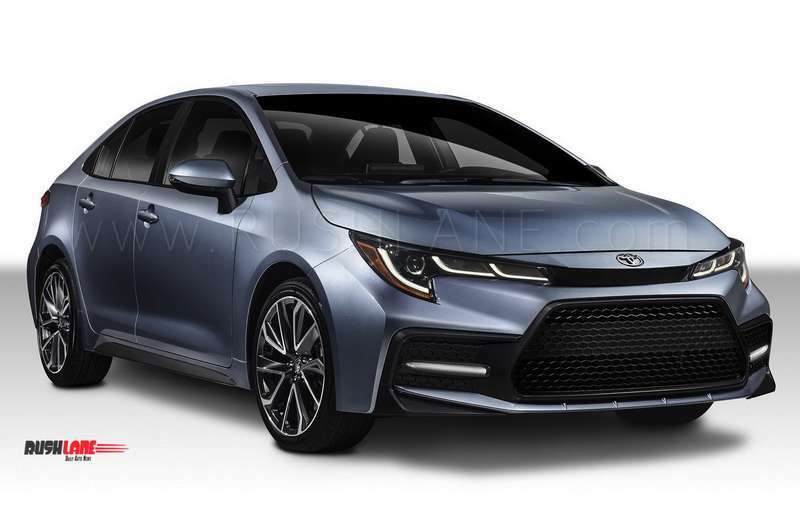 The 12th gen Corolla sedan borrows some mechanics and styling cues from the Corolla hatchback. 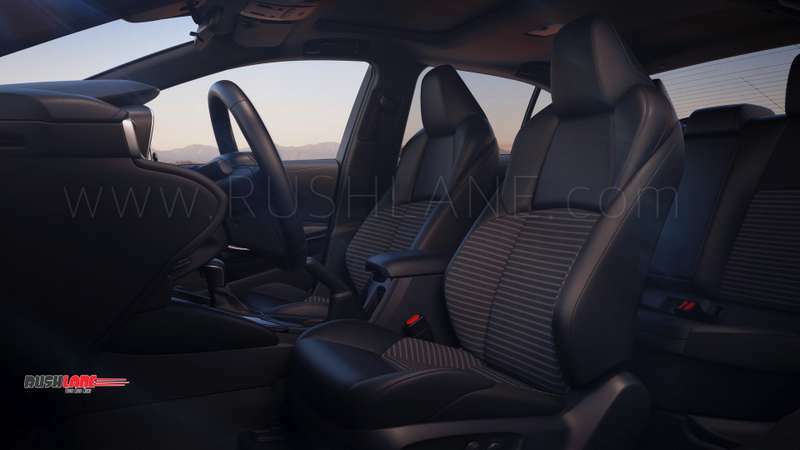 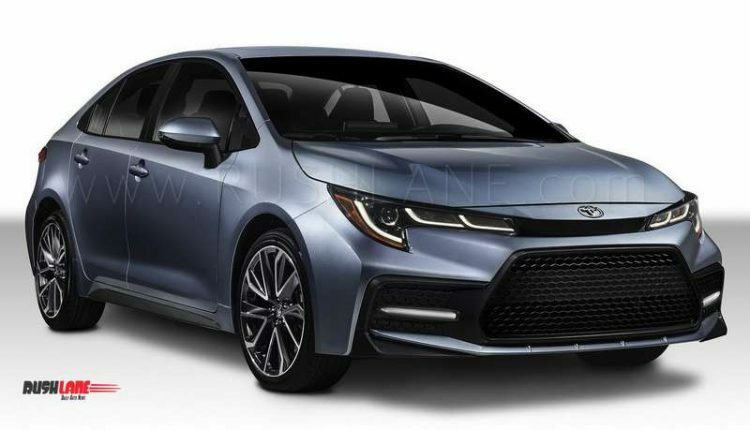 Based on Toyota New Global Architecture (TNGA) the new Corolla sedan promises smooth driving, enhanced riding comforts, better safety and a quieter cabin. 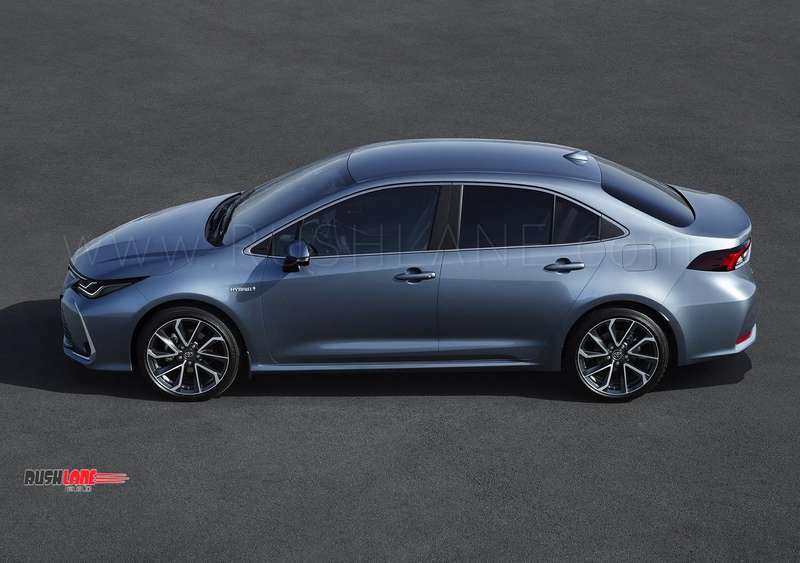 The new sedan measures 4,640mm in length, 1,780mm width and 1,435mm in height along with a 2,700mm wheelbase. 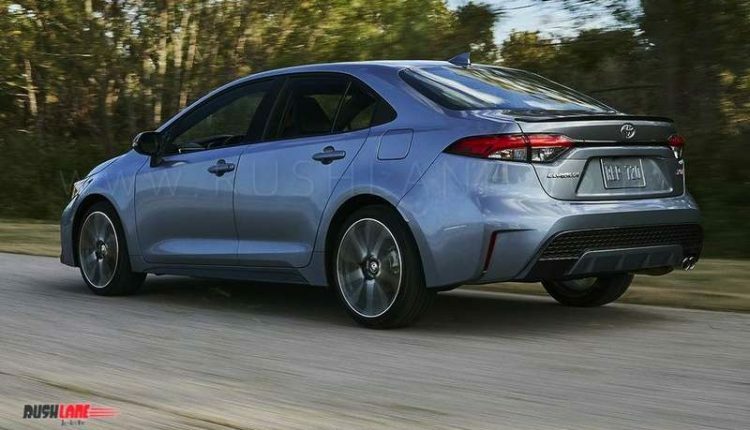 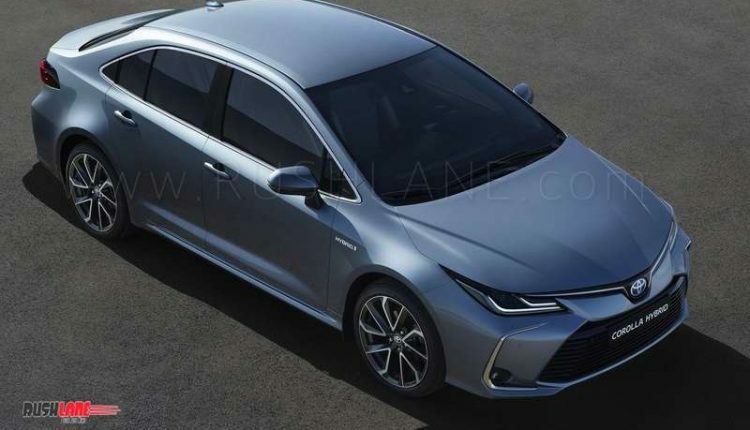 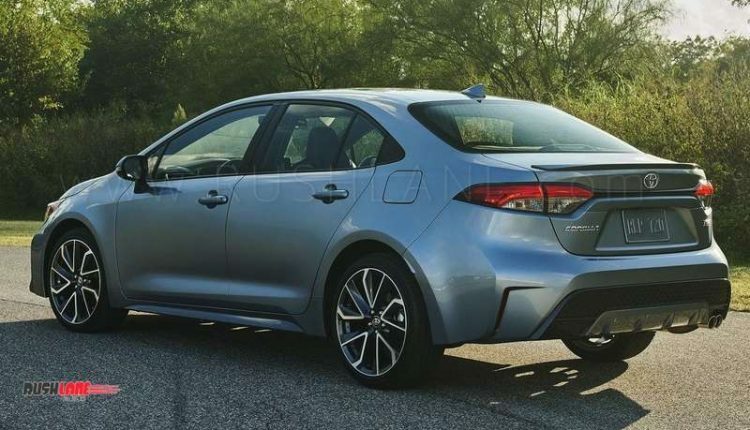 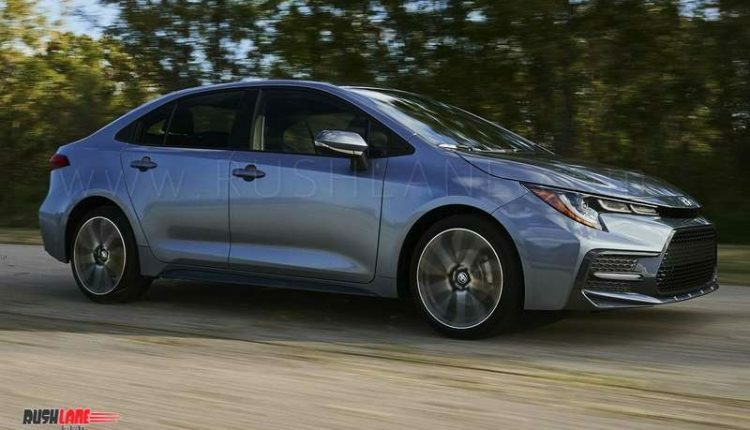 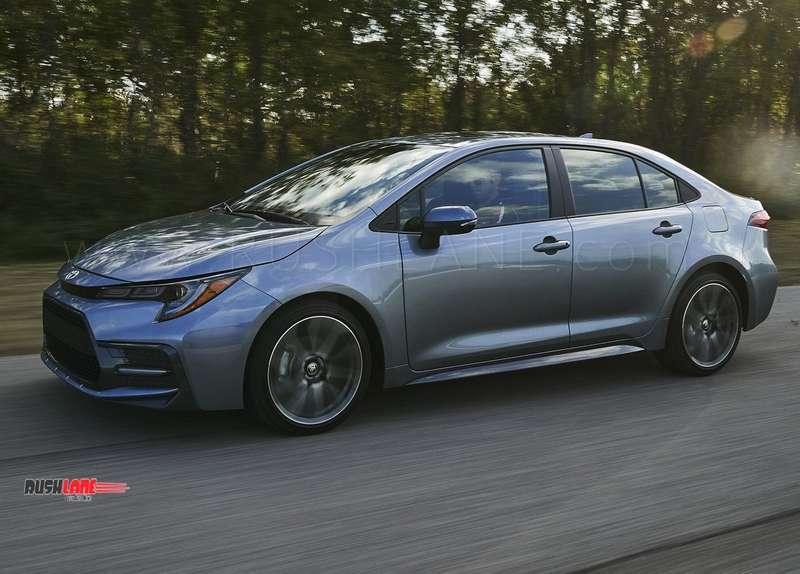 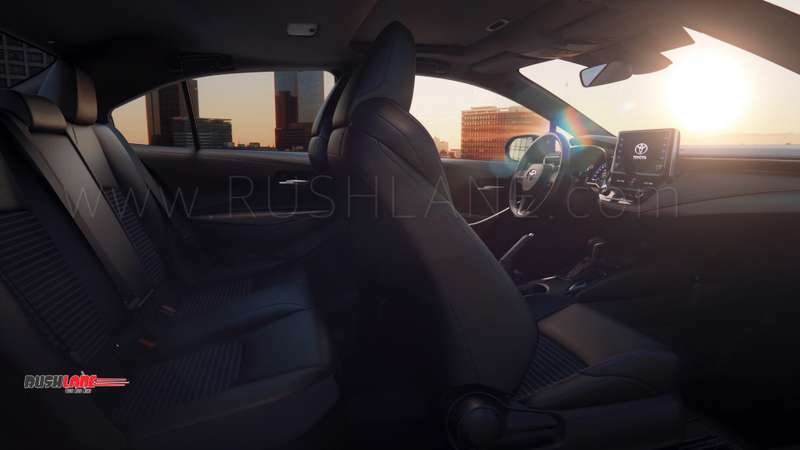 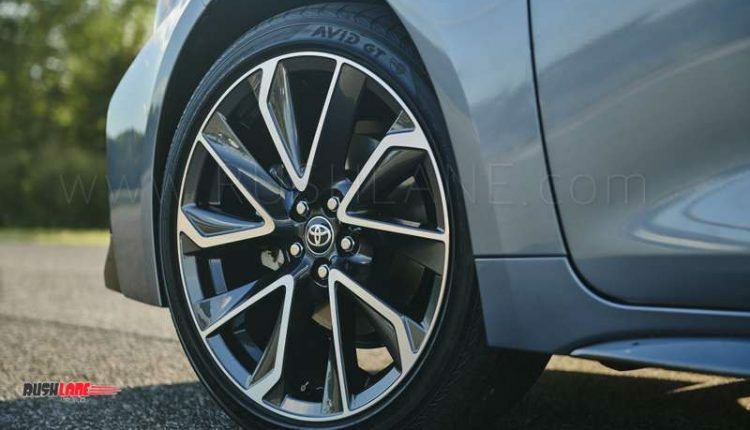 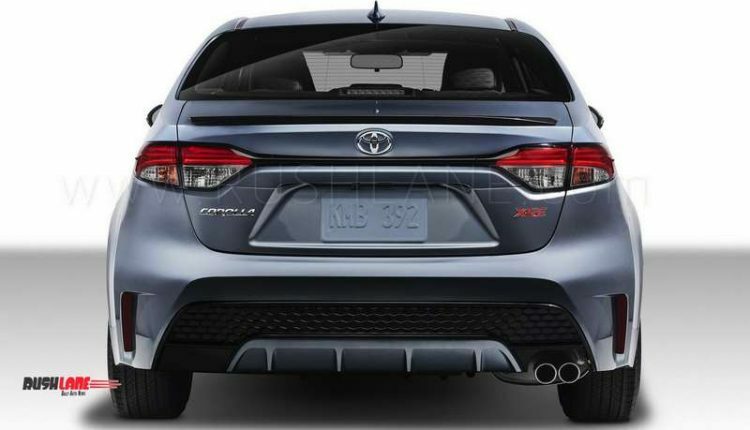 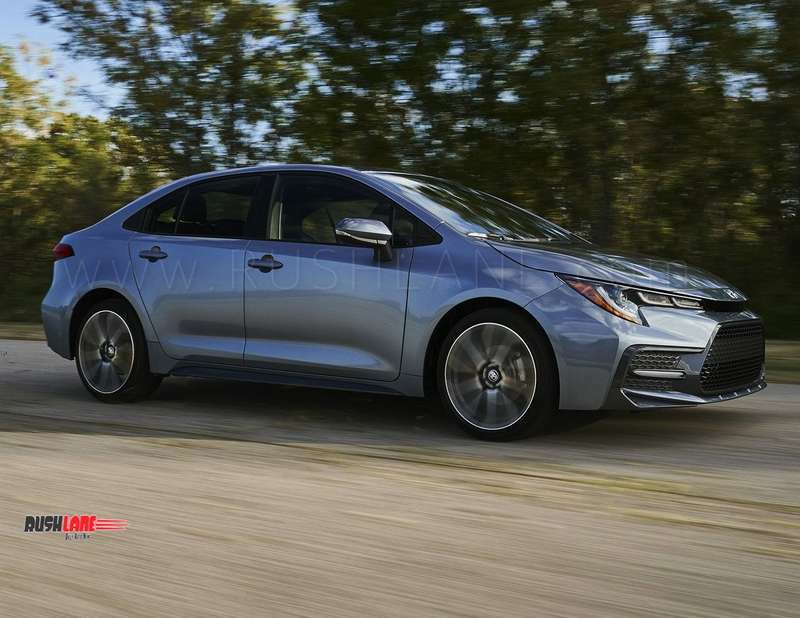 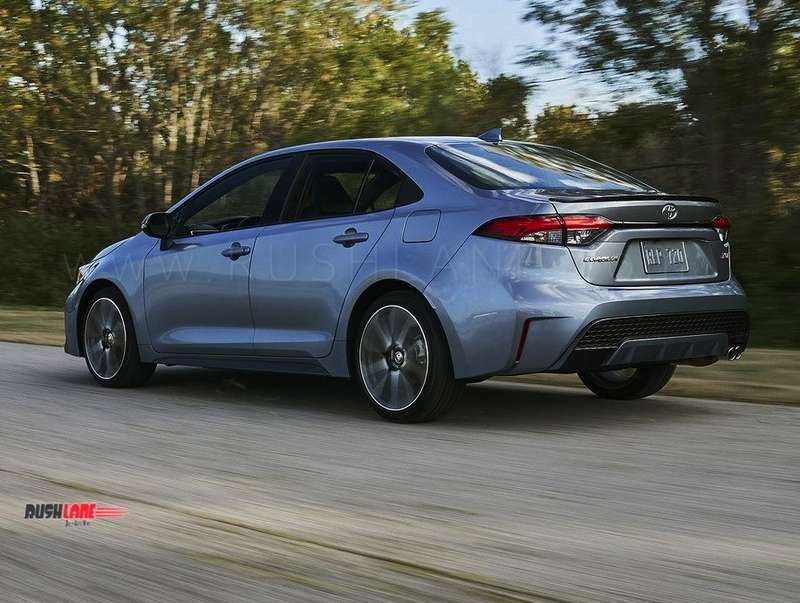 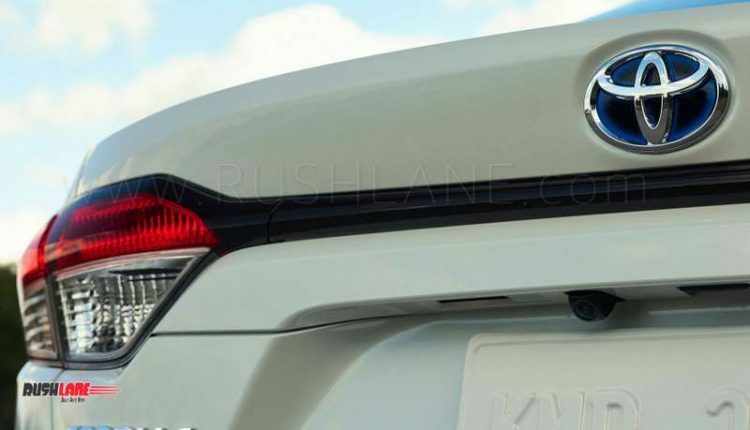 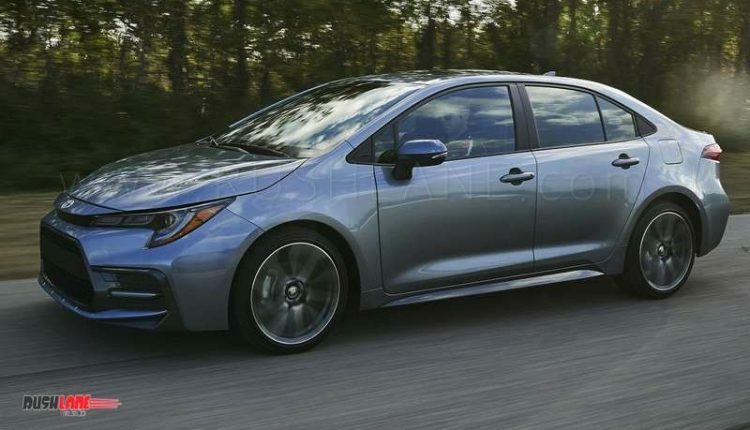 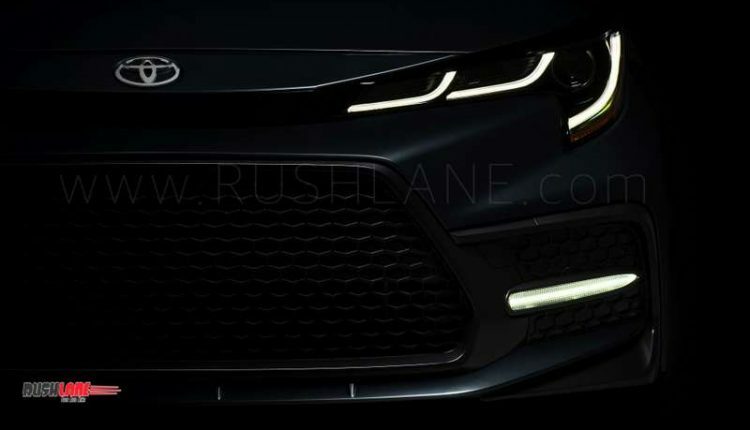 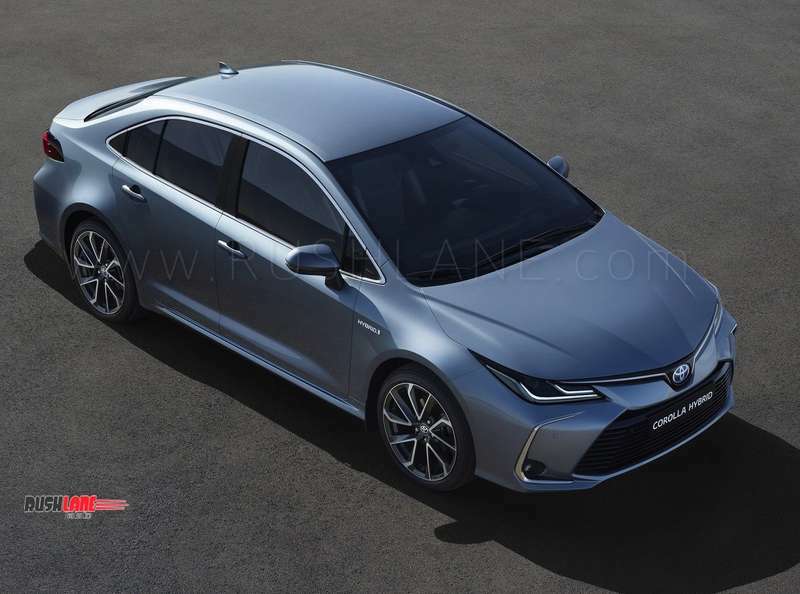 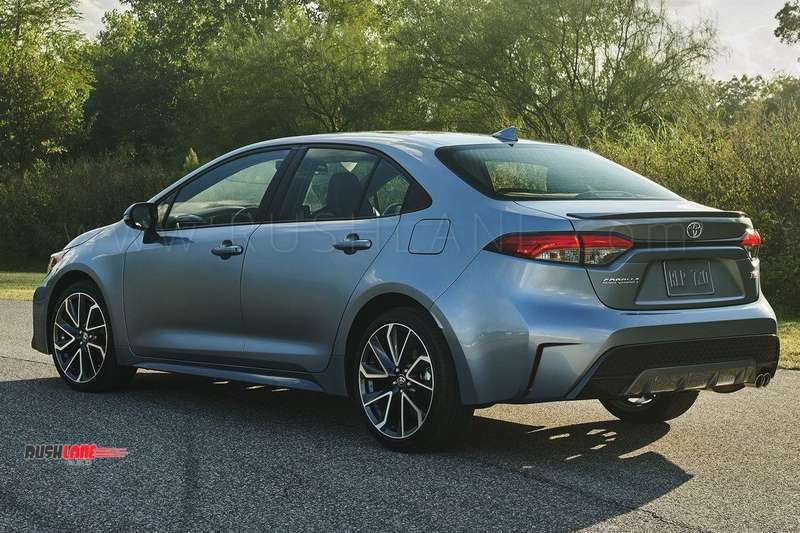 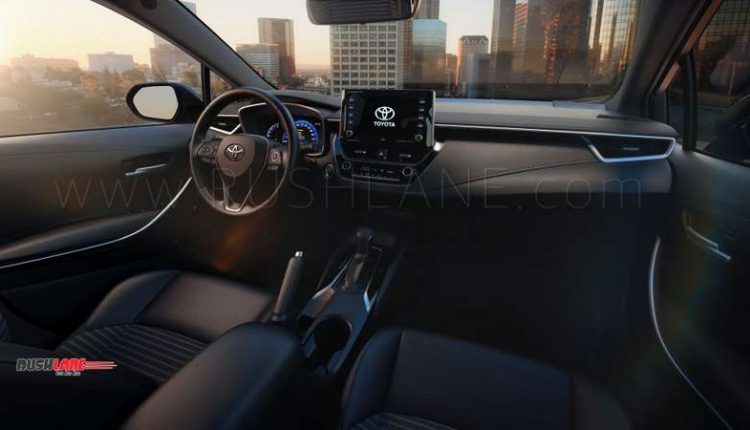 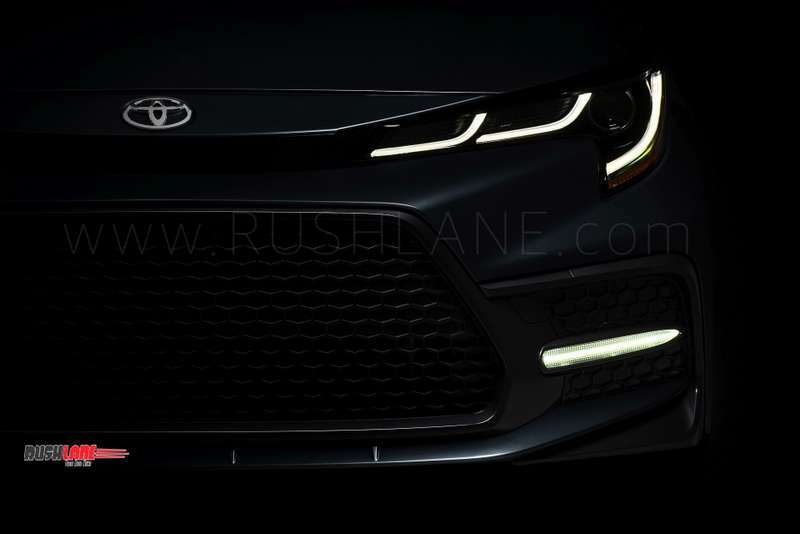 2019 Toyota Corolla sedan gets a new architecture with multi link rear suspension as against the torsion beam set up seen on its earlier counterpart. 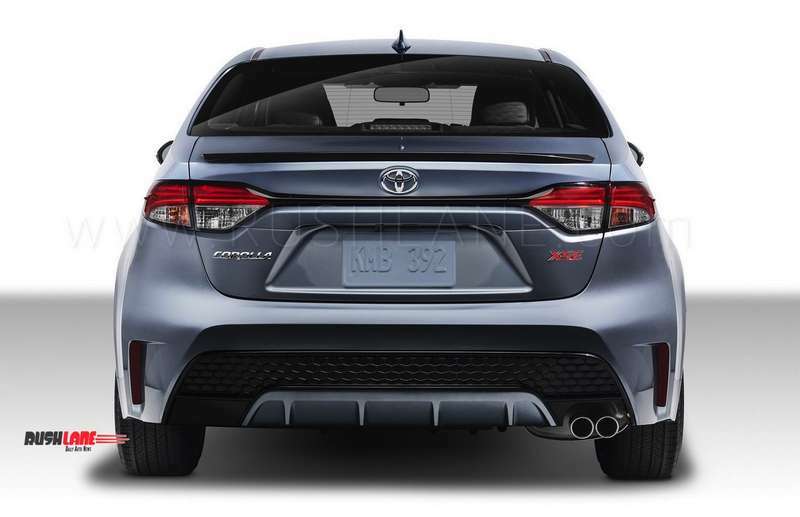 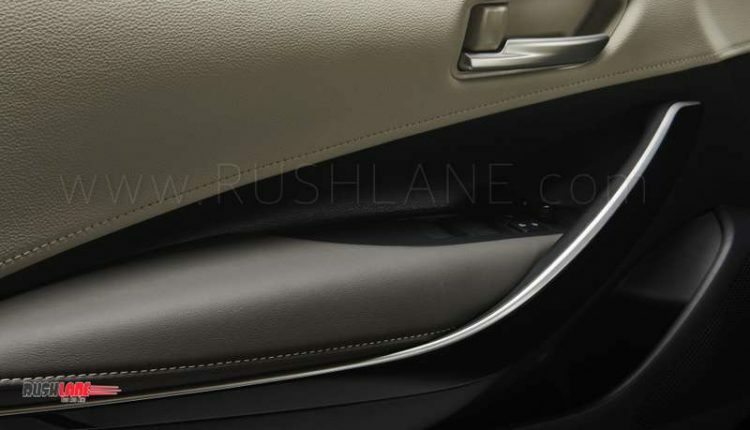 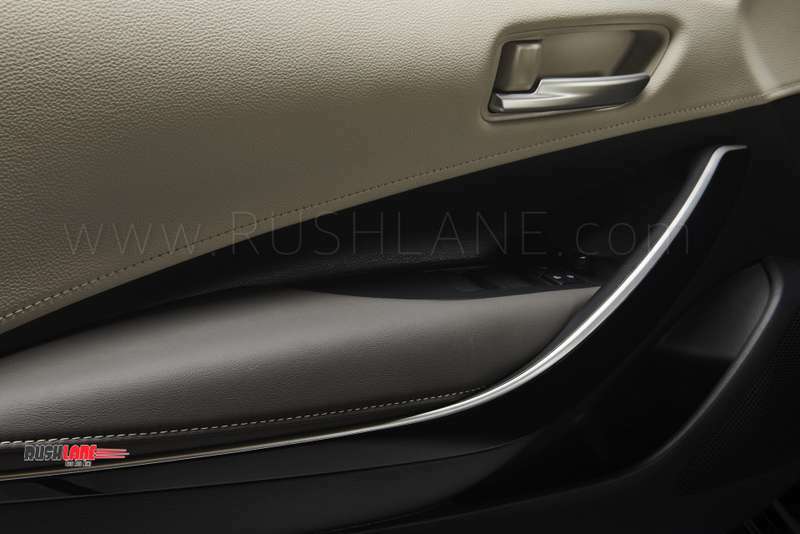 It also receives new MacPherson struts in the front, enhancing driving dynamics. 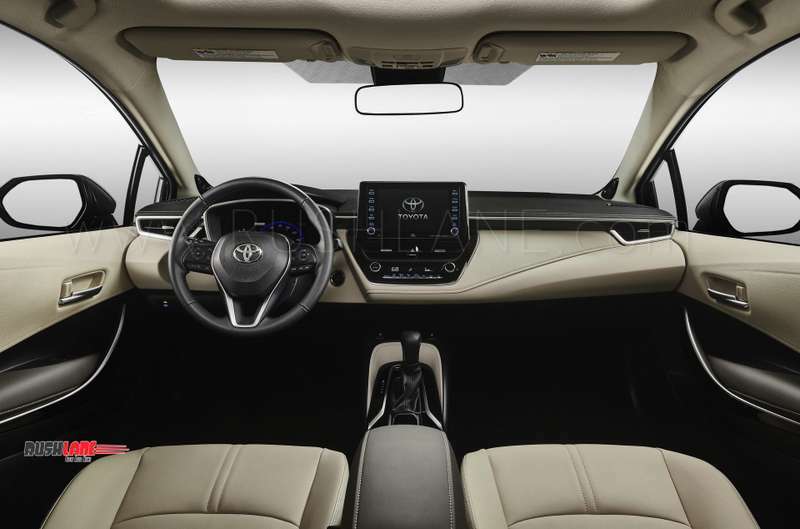 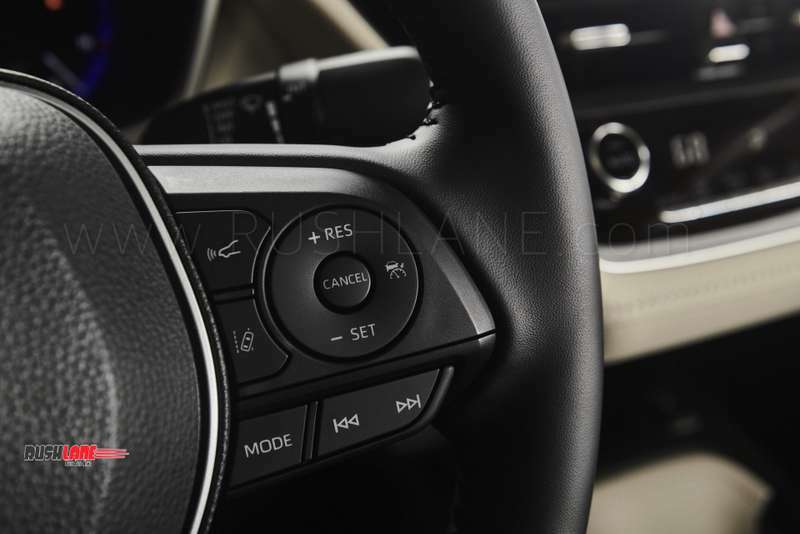 Interiors are seen based on a Sensuous Minimalism concept with a sleek instrument panel and interior layout that spells comfort, elegance and spaciousness. 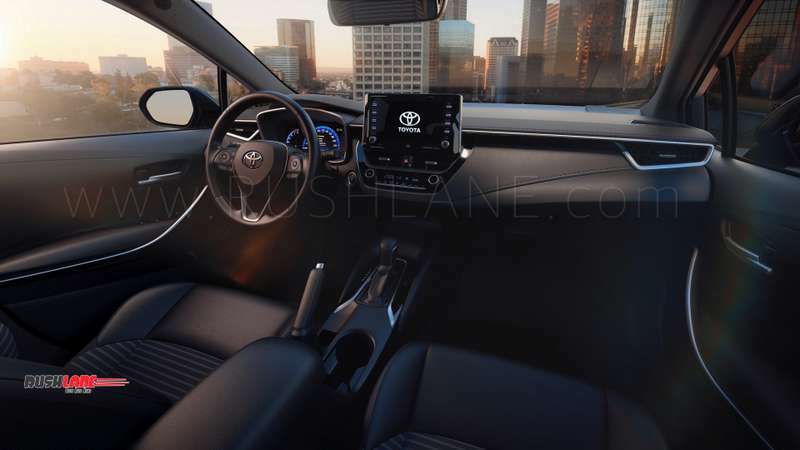 The interiors boast of an Entune 3.0 touchscreen infotainment system with Apple CarPlay and Amazon Alexa compatibility. 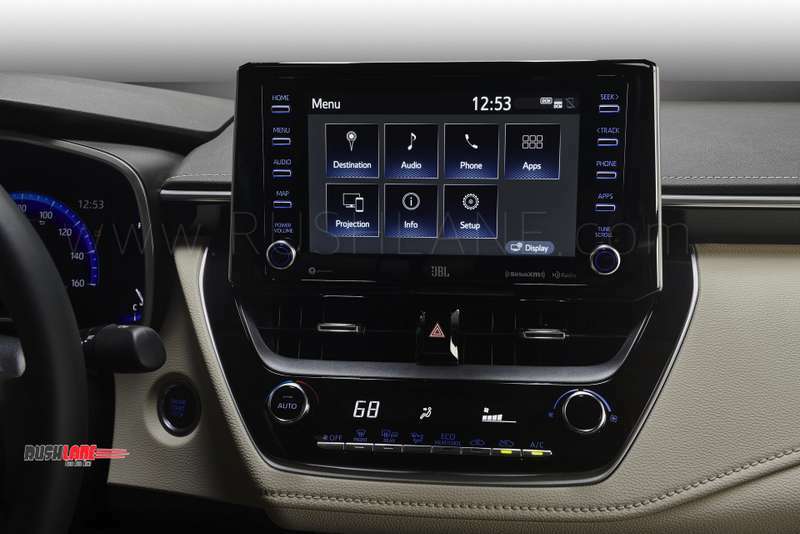 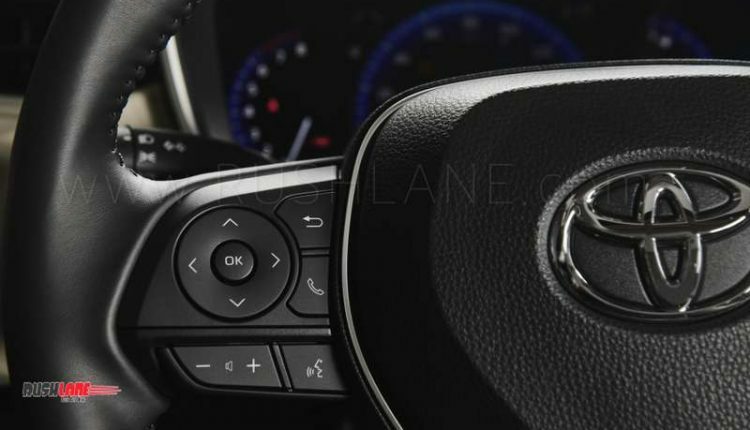 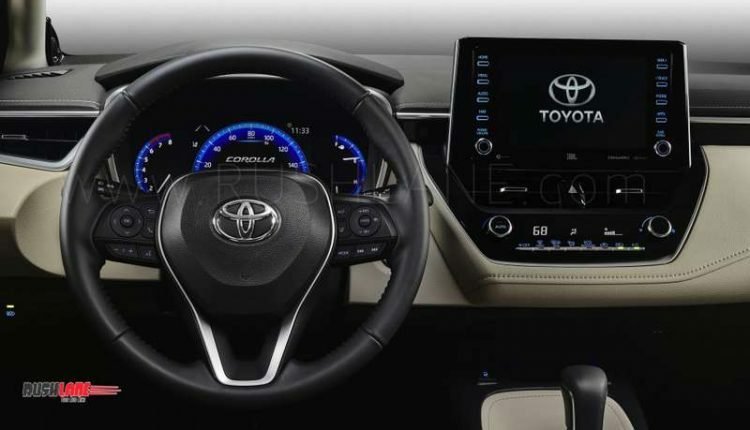 The US spec models will get a 7” touchscreen with higher variants will be seen with an 8” display. 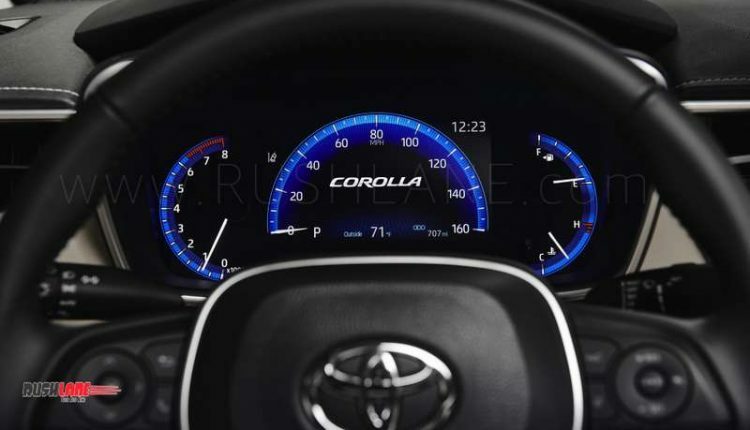 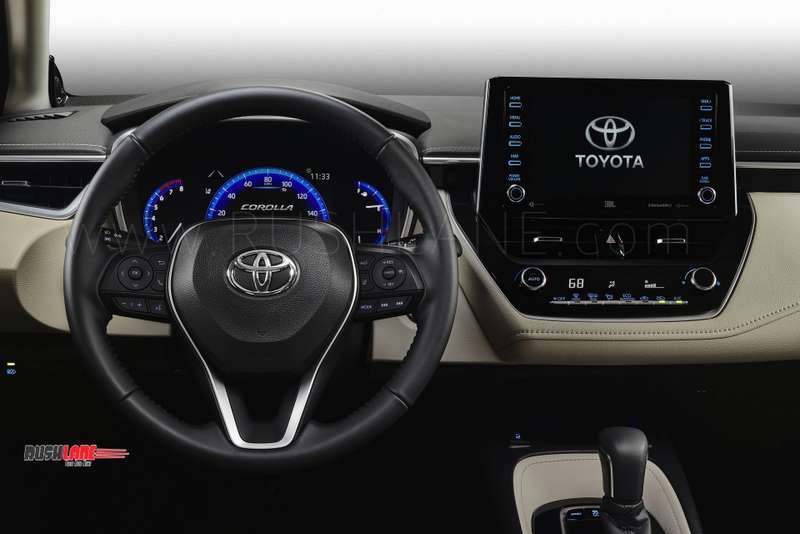 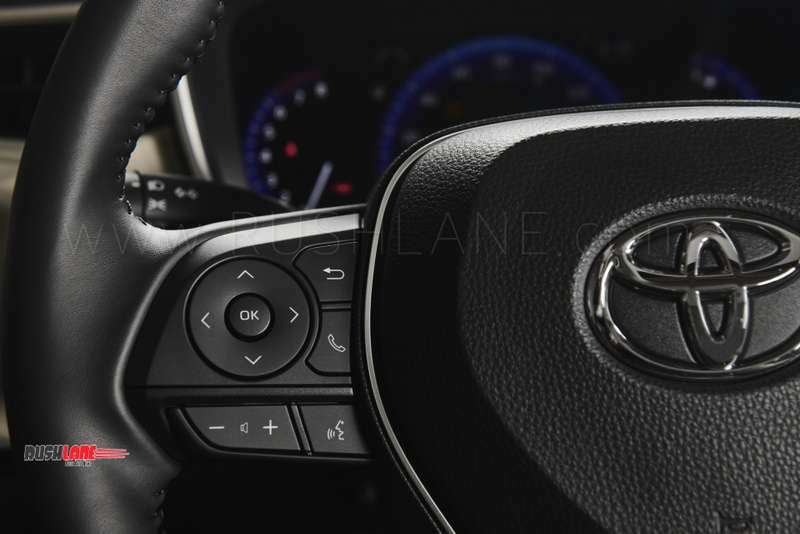 In terms of safety, the new Corolla sedan will get fitted with the Toyota Safety Sense package that not only alerts in the event of potential dangers but actually aids and supports in making the drive safer. 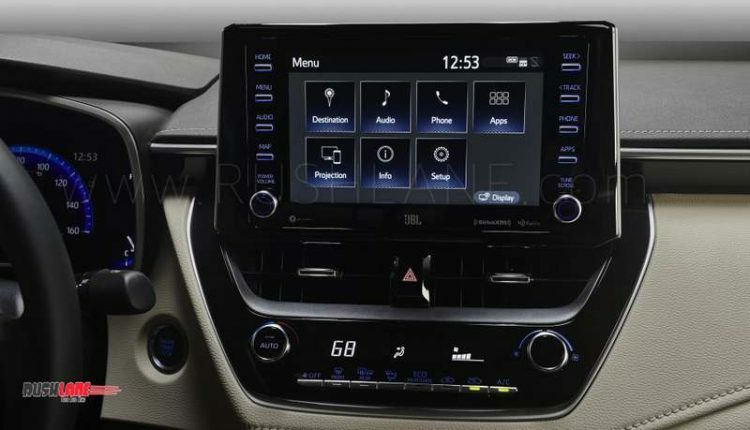 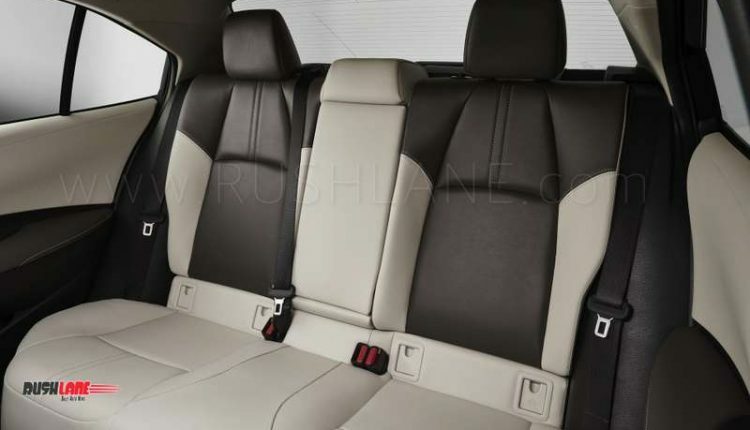 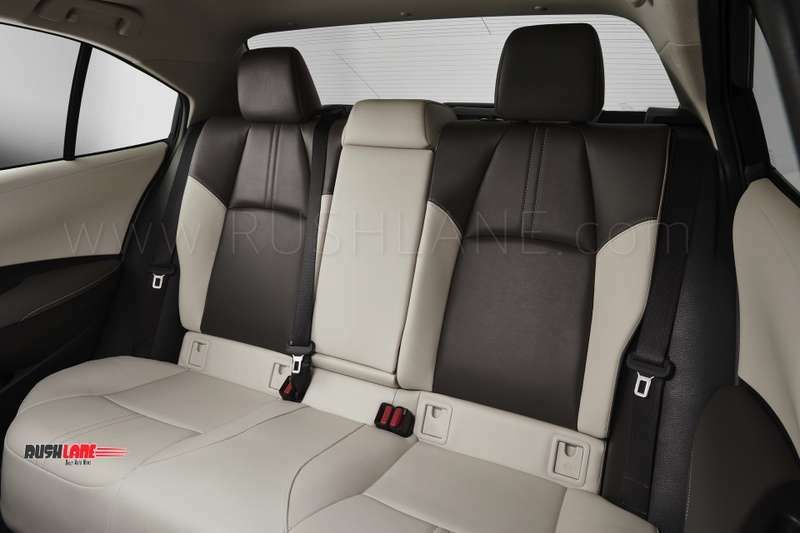 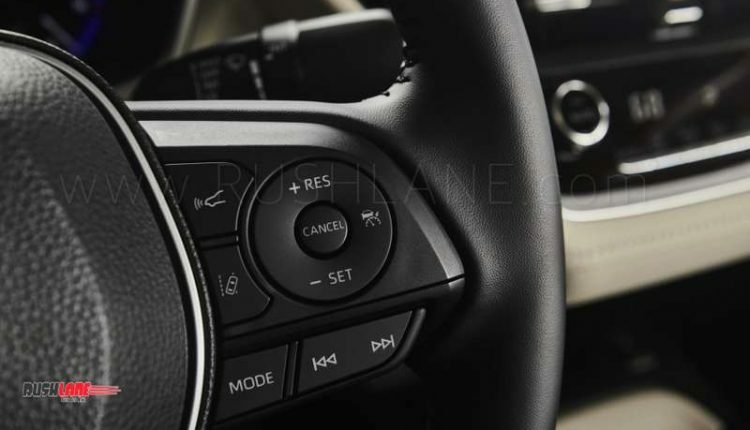 Apart from airbags and ABS, safety features include automatic high beam, road sign assist, pre-collision system, night time pedestrian detection, full range adaptive cruise control and lane trace assist. 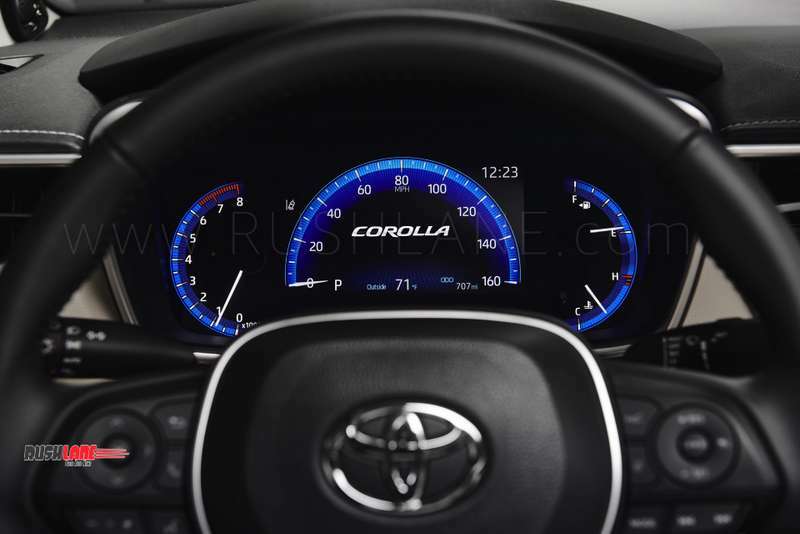 Engine specifications also get detailed with the new Toyota Corolla sedan getting a 2.0 liter Dynamic Force engine and a hybrid variant. 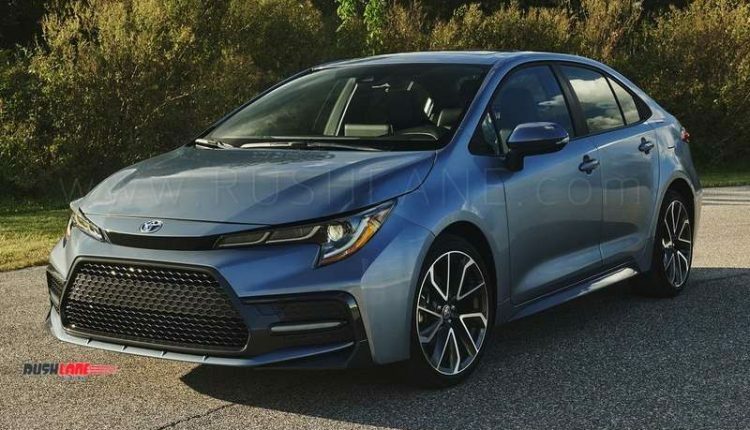 The North American model will be powered by a base 1.8 liter engine offering 139 hp power mated to a continuous variable transmission while the SE and XSE variants get a 2.0 liter, 4 cylinder engine offering 169 hp power and 201 Nm torque. 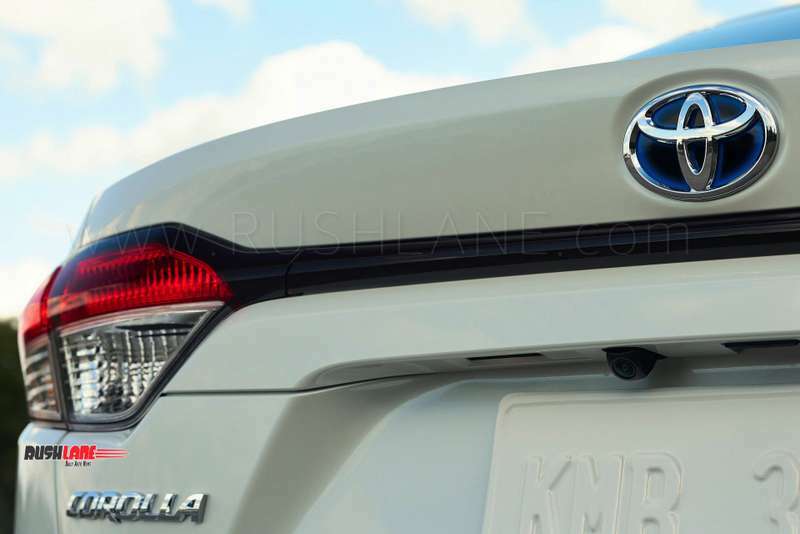 There will also be a hybrid variant in the US range with details to be announced later. 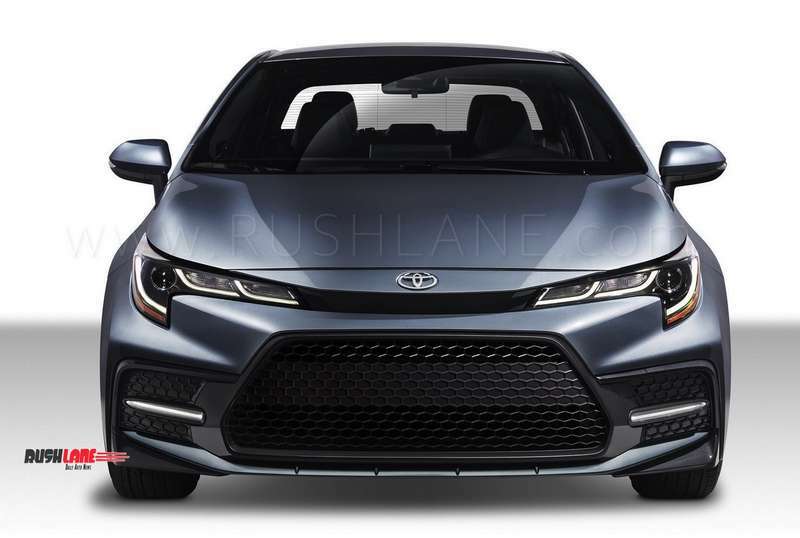 In India the new Corolla could borrow the new 1.5 liter petrol engine from Maruti Ciaz. This engine delivers 104 PS of power and 138 Nm of torque. 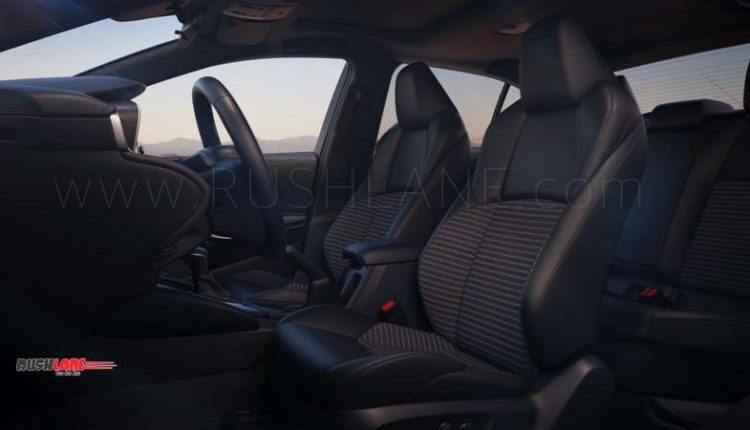 It comes with SHVS mild hybrid technology. Maruti and Toyota plans to launch re-badged variants of each other’s cars in India as per new agreement. 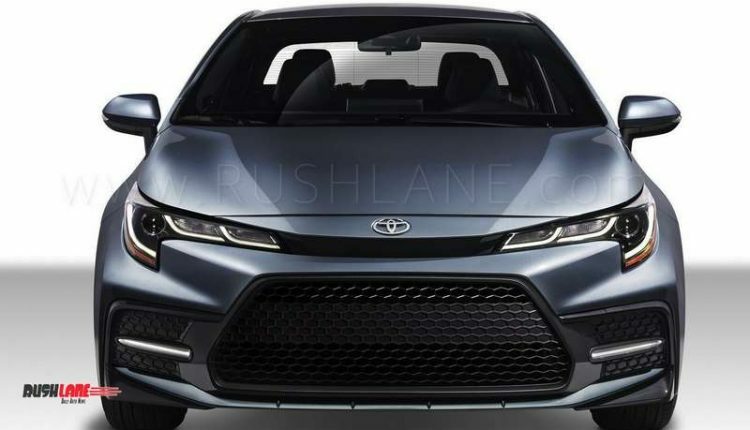 This will see Toyota selling Brezza and Baleno, while Maruti selling the Corolla in Nexa. 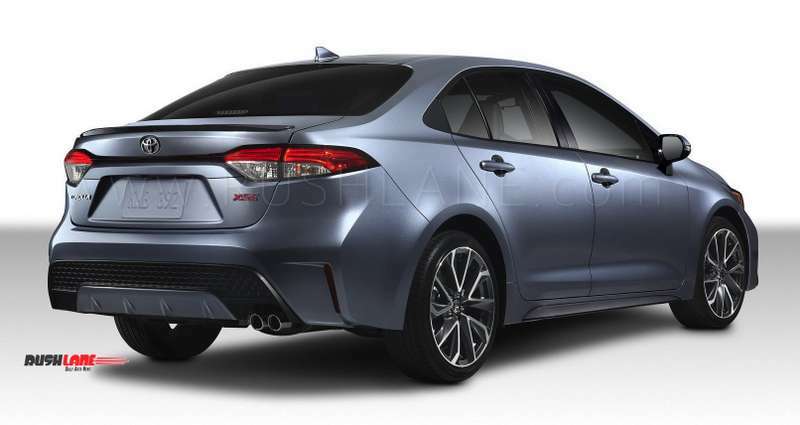 Maruti badged Corolla for India could get Ciaz's 1.5 liter petrol engine with hybrid tech.